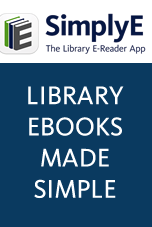 We make it easy for your patrons to access ebooks, so they can read when they want and how they want. We've partnered with major publishers to provide the best and most popular content to your library, and we're constantly adding more items to bolster your collection. Optional accessories enhance the 3M Cloud library experience and drive traffic to your collection, from in-library Discovery Stations, to lendable eReaders that help all patrons enjoy the benefits of e-reading. And our personalized service experts will be there every step of the way to help you implement and enhance your collection.